By Adam Weinroth . Published on March 11, 2016. When I attended my first SXSW in 1997, the gathering formerly known as SXSW Multimedia was still in the process of changing its moniker to SXSW Interactive. That rebranding was symbolic, as the focus of technology innovation was shifting away from graphics software and CD-ROMs and surging toward making digital life more interconnected. As marketers have become more concerned with utilizing transformative digital technology and media over the years, they've inevitably made SXSW a critical convergence point for gathering inspiration and showcasing innovation. This year the festival has reached its pinnacle of influence and relevance as President Barack Obama makes SXSW history and becomes the first-ever sitting President to give a keynote conversation at the festival. In doing so, there's little question Obama is delivering the ultimate brand activation, built on the unmistakably marketing-tested practices of targeting the right audience with experiential content and deep brand interaction. Regardless of political affiliation, for most SXSW attendees the President's participation represents experiential content programming on an entirely new level -- instead of seeing him on broadcast or digital channels, attendees get a once-in-a-presidency chance to experience President Obama in person, all as an integral part of a bigger event that for many, is an annual professional pilgrimage. Consider standout activations in recent years like GE's BBQ Research Center, HBO's immersive "Game of Thrones" experiences, and even Friskies' Haus of Bacon. They wowed festival-goers by letting them touch, feel and even taste their brands in remarkable, memorable ways that couldn't be delivered otherwise. There's simply no substitute for bringing the brand to life; it builds inimitable excitement and truly activates influencers who carry the brand with them out into the world long after the final interactive panel, film screening and band showcase have come to a close. Brands need to have a clear understanding of their audience -- their likes, dislikes and how they prefer to engage. But they also have to know where their audiences congregate and why. Having this understanding of your audience is the foundation for building lasting, meaningful relationships. In this case, President Obama's keynote is a perfect example of targeting the right message to the right audience at the right time. Juxtaposed with the most dramatic presidential election cycle in recent history, his presence among a diverse crowd of music, entertainment and technology influencers for whom exchanging ideas is a primary driver for interaction links the Obama brand directly with grassroots, millennial-style relationship-building. For the entrepreneurs, designers, technologists and marketers using or developing platforms to drive many aspects of business, Obama's focus on the use of technology and civic engagement in the 21st century makes his message more personally relevant. Marketing is no longer linear. Gone are the days of one-way shout-at-me promotional messages. Brands already know that digital has upended traditional marketing, with multidimensional, interactive experiences increasingly driving brand conversations, social engagement and compelling storytelling. That's why the format of President Obama's appearance is noteworthy. Instead of giving a speech, he's sitting down to engage in a live conversation. Even the substance of his chat with Texas Tribune CEO and Editor in Chief Evan Smith will be about engagement itself -- a call-to-action for industry leaders, thinkers and doers to get involved with helping democracy keep up with technological innovation. By tapping into passions and interests -- making his appearance more conversational in this way -- President Obama could strike engagement gold. The President isn't the only high profile figure at SXSW, of course, and there are many other noteworthy brand activations this year that will surely go down in history for their innovation, creativity and results. But brand marketers are wise to take a cue from the President when it comes to experiential content marketing. In an age when the medium is the message, the message is the brand and we have an abundance of brands to choose from, laying the proper foundation for long-lived brand engagement is paramount to building a strong legacy... even if you're the President of the United States. 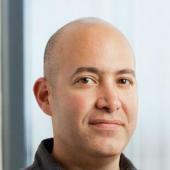 Adam Weinroth is CMO of Austin-based OneSpot, a content marketing technology company. He attended his first SXSW in 1997 and has since been involved as a volunteer, speaker, attendee and overall supporter.